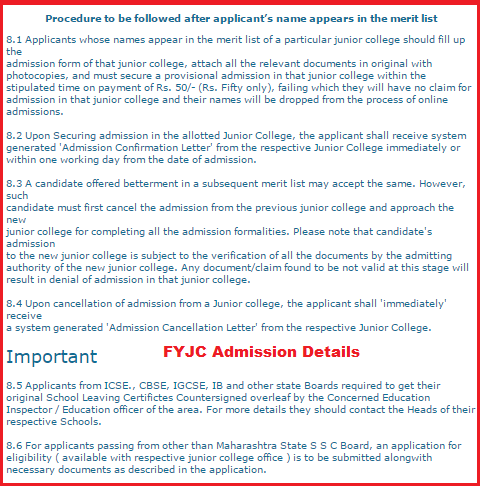 First Year Junior College Admission (FYJC) ,11th Standard Online Admission ,Mumabi & Pune/PCMC regions Process and procedure to be followed after applicant’s name appears in the Merit list. FYJC Mumbai Region First Round General Merit List declared on Sunday (21st June 2015). FYJC Mumbai Region Second Round Merit List going to declare on 30th June 2015 after 5 P.M. FYJC Admission Procedure after Merit list declaration. 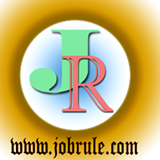 Junior College Admission in Maharashtra FYJC Pune and FYJC Mumabi Regions. According to FYJC First Round General Merit list, out of 2.06 applicants ,13513 students scored more than 90% in Class 10 exam. Among them ,1683 scored more than 95% and 11,829 students between 90% to 94.99% . For information, The Mumbai Topper CBSE Class X examination, Mihir Chavarkar (topper of FYJC Mumabi General Merit List) took Pace Junior Science College, Nerul . 1. Applicants whose names appear in the merit list of a particular Higher Secondary Schools/ Junior College should fill up the admission form of thatb higher secondary school/Junior College ,attach all the relavant documents in original with photocopies and must secure a provisional admission in that higher secondary school /junior colleges within the stipulated time on payment of Rs.50 , failing which they will have no claim for admission in that higher secondary school/junior college and their names must will be dropped from the process of Online Admission.